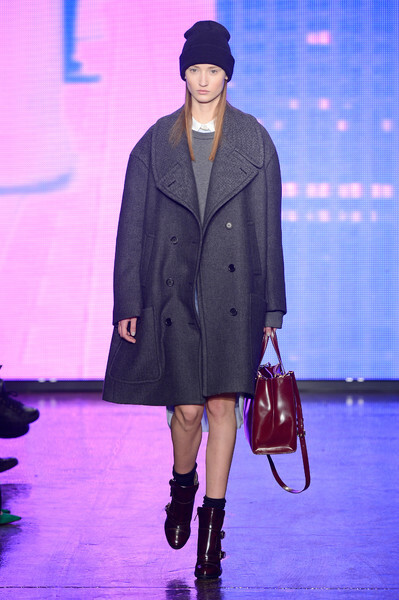 It’s been a big week for coats. 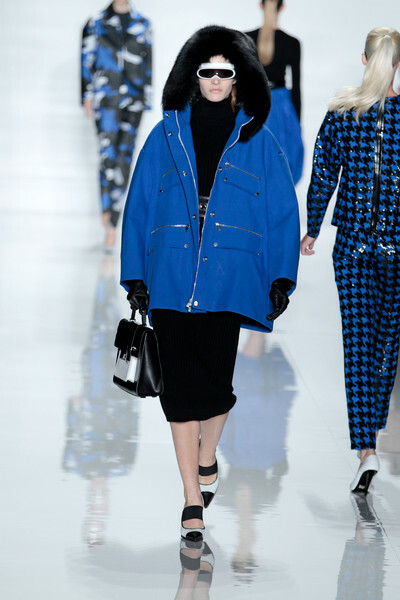 Remarkable that an item that independent of the weather gradually lost its position in the stores, is now THE canvas for fashion statements. 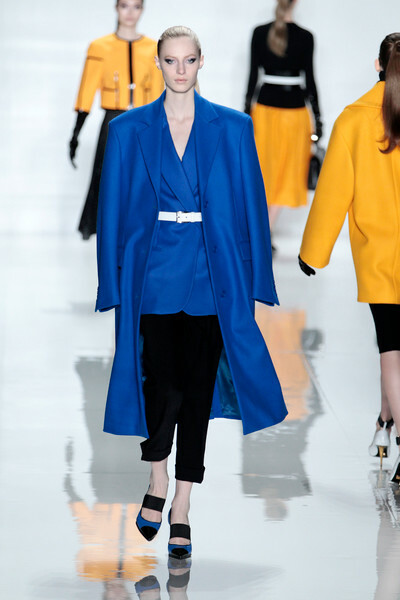 A myriad of coat styles crossed the runways – from traditional camel capes, pea coats and prep Prince of Wales jackets to decadent furs, plastic trenches and an impressive series of stern and rigid, broad shouldered power coats with nipped and belted waists. 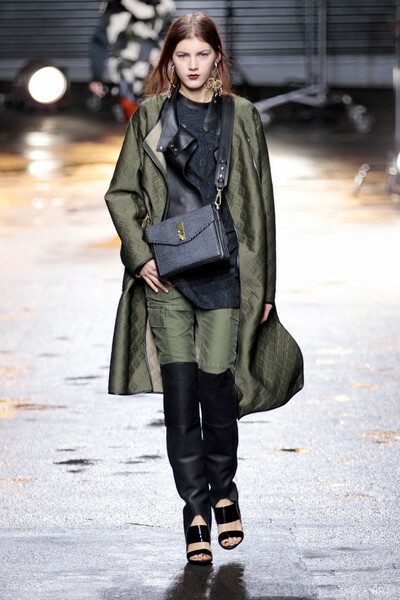 From prim tailored trenches, reinterpreted smokings to rugged utilitarian parkas. 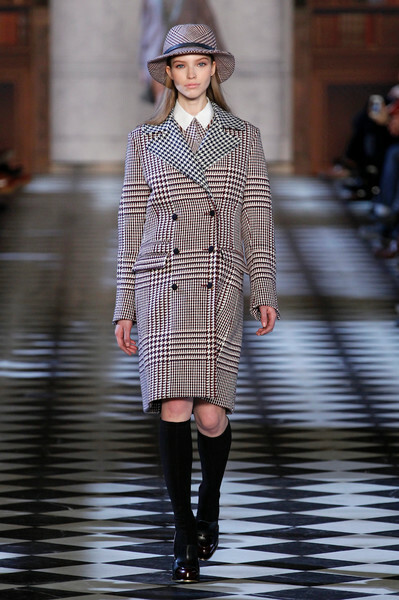 Most obvious where the numerous terrific coats that where stripped down and traditional, inspired by menswear suiting and tailoring. 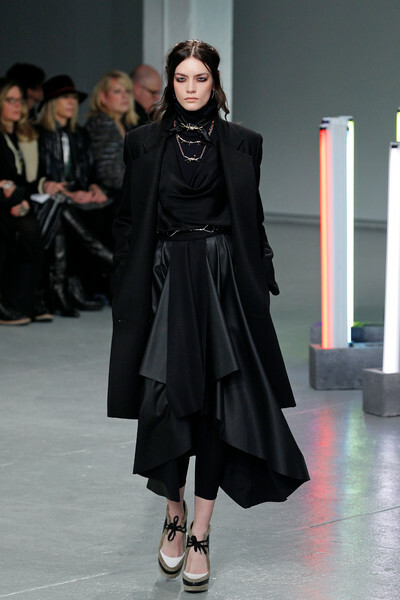 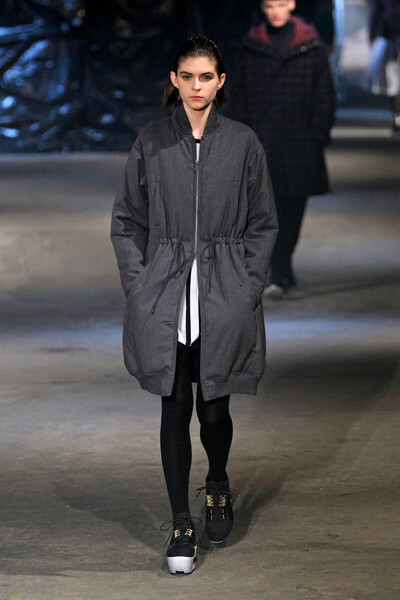 Alexander Wang cut his coats oversize and dropped the waist inspired by boxing. 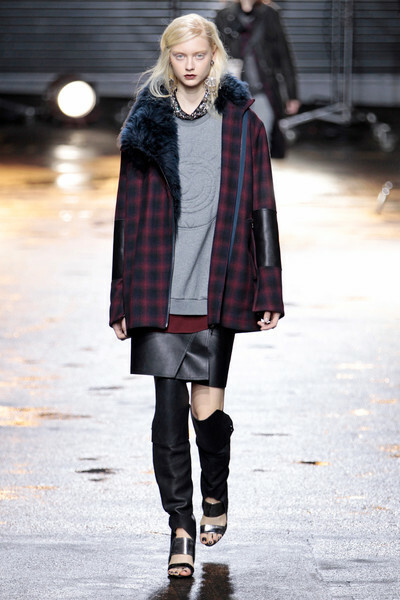 Phillip Lim referenced bikers; showing motorcycle jackets, ragged shearling but also super trenches. 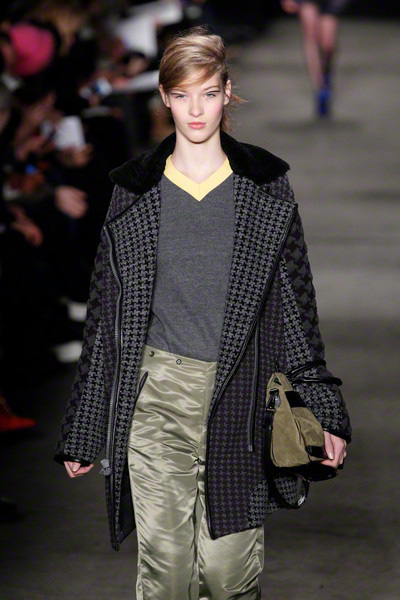 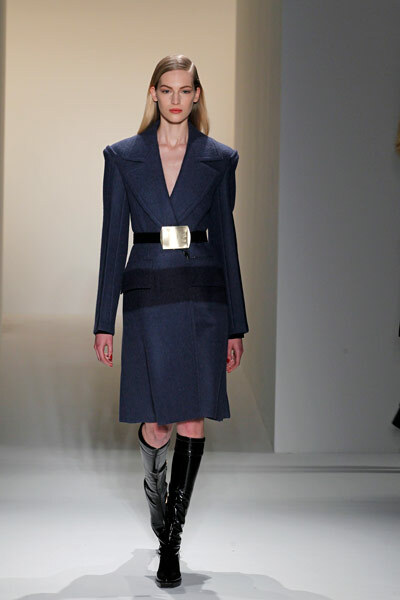 Michael Kors themed urban warriors; fast-paced, sporty and chic in bold, boxy, sculptural shapes and Calvin Klein buckles up and goes large; with mannish shoulders in dense cloth. 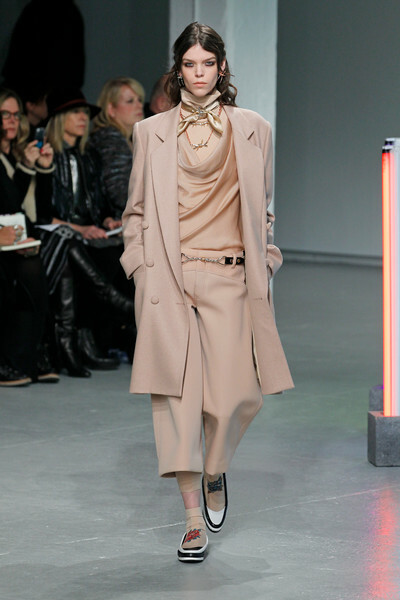 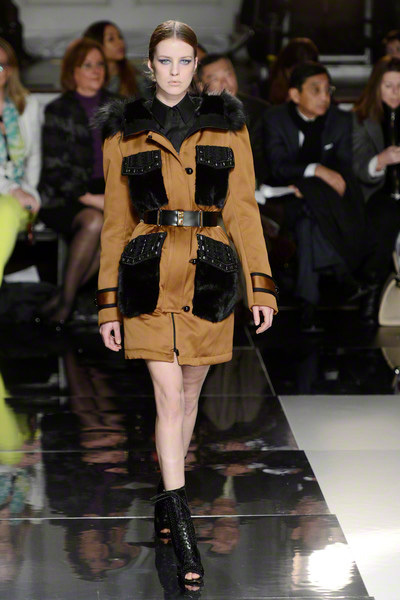 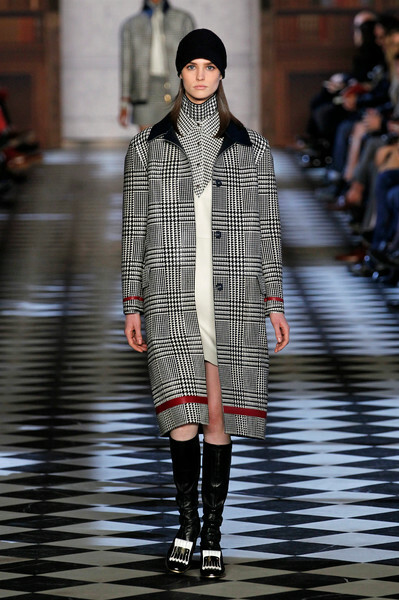 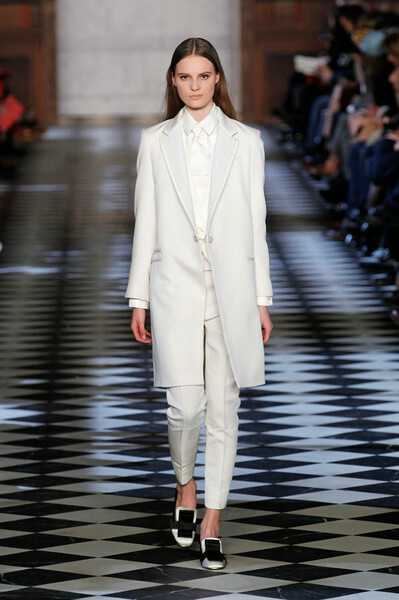 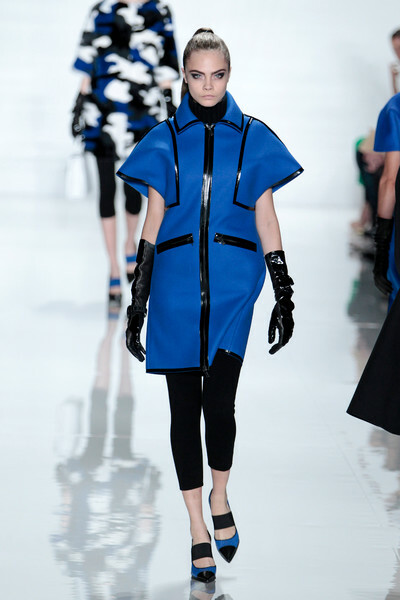 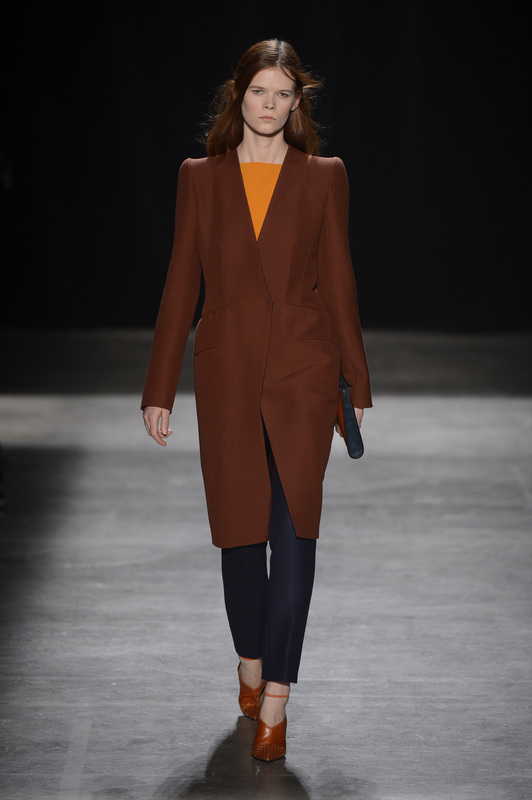 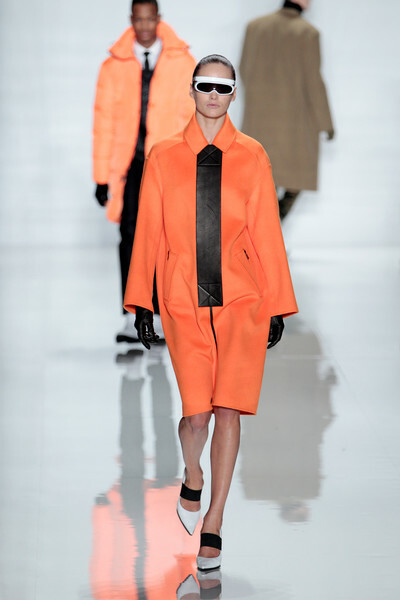 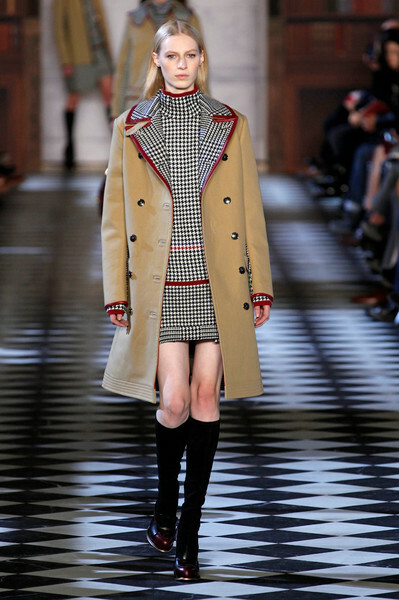 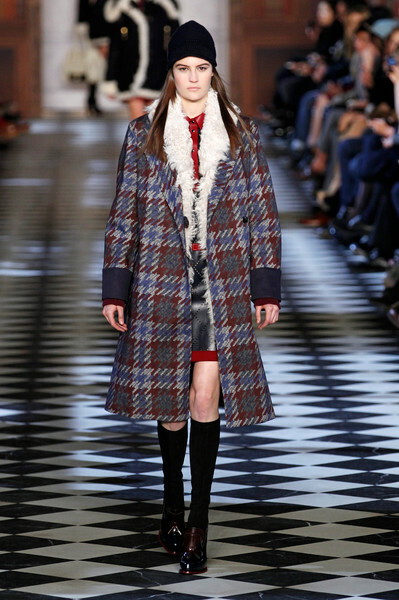 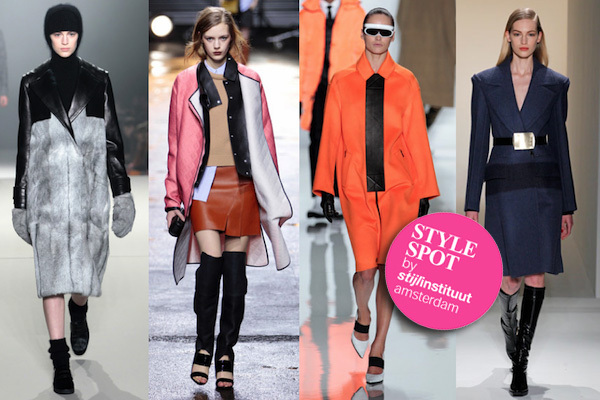 Though the coat’s references are mannish the looks are generally sensual.